Starting the engine would be the worst mistake you could make after realising that you just put the wrong fuel in your car. Modern Diesel Fuel systems have very small tolerances and therefore are not tolerant to any amount of contaminated fuel. Unfortunately whilst its very easy to make the mistake, filling your car with petrol instead of diesel could prove costly if quick action is not taken. The quick action should not have anything to do with turning the engine on as this could lead to more problems by allowing the petrol to circulate in the diesel system. If you have realised your error after driving the vehicle, it is advised that you pull over somewhere safe and switch off the vehicle immediately. Stopping the vehicle will help limit the damage being done to the fuel system and engine as it stops the circulation of the contaminated fuel. Be advised if you choose not to stop your vehicle and insist on driving you are leaving your fuel system and engine exposed to damage. Although it is very unfortunate that you should find yourself in this situation, rest assured you are not alone petrol in a diesel car is a common mistake. Each year, thousands of motorists fill their tanks with the wrong fuel, on average one every minute. Mis-fuelling is a common occurrence and statistically one in two people know someone who has misfuelled. 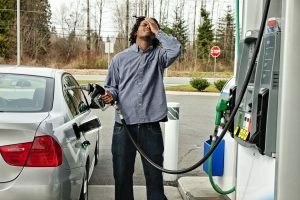 So, what should you do after pumping Petrol in Diesel car? 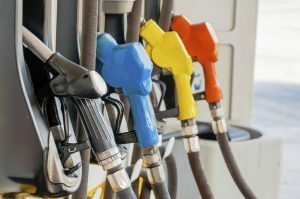 Before learning what to do when misfuelling happens, you should start by educating yourself on the effects of putting petrol in a diesel car, especially with the potential effects being catastrophic. Majority of misfuelling occours due to people being tired, stressed or distracted with their surroundings. If you find yourself facing the senario above, it would be advised to avoid fueling if not necessary or concentrate on fueling your vehicle to avoid putting in the wrong fuel. 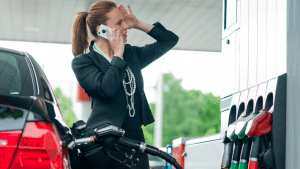 Whilst it is common for a driver to misfuel due to their mind being distracted with something different, unfamiliarity with the car is also a common cause. Petrol transforms into a solvent while in diesel. Therefore, it’s likely to hamper lubrication thus damaging the pump extensively as metal contacts metal. Petrol is a contaminant. The more it gets into diesel, the more contamination it leaves behind in the system and engine. The damage that petrol in diesel car causes would often mean that manufacturers would recommend a full fuel system replace at a cost of thousands of pounds. Tiny fragments of metals break off some components of your car could find their way into the fuel system. This damages the fuel injectors, lines and pump. Lastly – cost of replacing the damaged or contaminated components. Fuel injectors, fuel lines and fuel filters are expensive and you would need thousands of pounds to replace them all. Depending on the vehicle the ignition could turn the fuel pump on. Therefore, if in doubt you should avoid switching the ignition on, as this is your best option for protecting the engine. As long as the ignition is off, your next goal should be to drain the petrol out as soon as possible. Call a Wrong Fuel Angels technician to come to your aid. All our technicians are experienced in wrong fuel recovery. Our technician will arrive promptly, drain the petrol from your fuel system and flush it with the correct fuel. With modern vehicles, the mere act of unlocking its doors would be capable of priming the fuel pump. Before you realise your error, the petrol would have travelled to parts of the fuel system and engine. Therefore, if it is safe to do so don’t avoid remotely locking/unlocking your vehicle. Keep doors closed just as they are. Stay calm and give Wrong Fuel Angels a call. With the fuel being contained in the fuel tank, a simple drain and flush would remove the contaminated fuel whilst minimising damage! Unless you know what you are doing, attempting to rectify the mistake yourself could lead to more problems. The best thing you can do, after turning the engine off and pulling over, is to call an experienced fuel drain specialist such as Wrong Fuel Angels. With an average wait time of 30-45 minutes plus an average of 15-20 minutes for a complete fuel drain, you could be back on the road within an hour of calling, Our effective treatment would minimise the inconvenience you have suffered due to misfuelling and you can be on your way ASAP! This step is highly recommended for drivers whose cars are under warranty. Taking any remedial measure without calling the manufacturer to inform him about the problem could invalidate the warranty. It’s not just enough to call the manufacturer. You need to give him time to examine the problem before fixing. Involving a local company of mechanics to fix the problem could be costly for you in the long-term. If the car is parked on the side of the road, you would be justified in calling the towing company to tow it to a safe location before deciding what to do next. You’re lucky if you notice misfuelling before leaving the gas station. 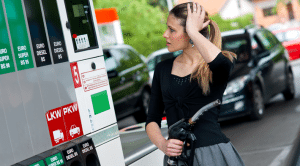 Many drivers realise there’s a problem long after they left the fuel pump. If you’re still within the premises of the gas station, you should look for one of the staff and narrate the situation to them. The workers educated and know what to do. They know how to handle the situation and prevent it from getting worse. The workers have seen similar cases before. They have received training that makes them equipped to help misfuelling victims. After realising that there’s a problem, you would be better off taking the measures described above. Some measures are not worth taking as previously stated. For example, you should never believe the myth that says it’s fine to top up the tank you fueled with petrol with the correct type of fuel – diesel. This would only compound the problem and make your car prone to other mechanical problems it never had. The car would be unable of running smoothly. You could also damage the fuel pump further. The engine would eventually fall apart and become useless. The other myth you should be wary of is that only the manufacturer of the car you drive is capable of fixing the problem. The local mechanics are able to do a stellar job and return the car to you in a great condition. Therefore, your warranty should not make you have to wait for the mechanics from the main dealer or manufacturer to arrive. All mechanics have the knowledge, skills and training required to do a great job. Moreover, the problem needs quick fixing, which would not be possible if you choose to wait for the manufacturer to send mechanics. DIY solutions are not a good idea. Therefore, avoid trying to solve the problem yourself. Don’t attempt to drain the fuel tank yourself. Furthermore, improper handling of petrol could have disastrous effects to everybody and everything around you. Draining the car of wrong fuel is a tough job. Moreover, you need towing services. You can’t ask a friend to use a rope to tow your car to a safe place before draining it of the wrong fuel. If a friend has to tow you, check that he has an A-frame or fixed rigid tow bar first. In addition to this, a DIY approach is bad if you lack the cleaning agent needed to flush out the contamination in the fuel injectors and lines. The rubber seals are not exempt from the contamination. Therefore, the rubber seals also need flushing to clean them. Flushing the rubber seals isn’t the only work that the mechanic does. He also has to assess the seals to see whether further damages have taken place. If the level of contamination is too intense, the rubber seals and other contaminated parts would need replacing. Petrol is smelly. The engine is smelly too. Without the right skills and tools, you could spend more than 2 hours draining the wrong fuel out of the diesel car. The actual time you end up taking to do this job well depends on many factors. It depends on the amount of petrol you wrongly pumped into the diesel car. Before commencing this job, you would need goggles, breathing masks and some gloves. Without such tools, you would have to contend with the problems that are likely to occur after inhaling petrol fumes. Nevertheless, if you’re careful, there might never be a need for remembering the guidelines mentioned above. You’re not helpless. You have options. You can make it hard or impossible to commit the costly mistake that could render your car’s engine useless. Don’t forget that the cost of repairing an engine damaged by mis-fueling could run into thousands of dollars if you notice the problem late. If you notice the problem while at the gas station, it would only cost you a few hundred dollars to ask the mechanic to pump the petrol out of your diesel car. Next, you should look at the possibility of installing a device that makes it impossible to put petrol in a diesel car. Technology has made such devices easy to access and use. Such a device has environmental benefits since it doesn’t produce wastes or contaminate the surrounding. With the device installed, you’re likely to see your insurance premiums falling drastically. The device is a money-saver in addition to being hassle-free way of preventing a potential financially crippling problem. The device prevents mis-fueling physically. It’s easy to install or maintain. It doesn’t pay to be in a rush while at the gas station. Take time coming out of your car. This helps to bring your mind to the surroundings in case it was wandering all over the place. Taking time is a great way of being at peace, which is necessary if you’re to avoid filling a diesel car with petrol. Keep reminding the workers at the gas station that your car runs on diesel. If you personally pump fuel into your car, check the pump to ascertain that it’s labeled ‘diesel’. Don’t proceed to fuel until you read the pump. Do not ignore the pump’s nozzle too. Petrol in a diesel car is a major problem. It can set you back financially, especially at a time of the month when your finances are not in great shape. Therefore, you must be careful to avoid pumping petrol into a car that runs on diesel. Nonetheless, if the mistake has taken place, your main option would be to stop the car, turn off the ignition and call a mechanic to drain the engine for you. Failure to do this could affect your finances greatly and make you unable to drive the car until you replace the damaged engine and the heavily contaminated components.